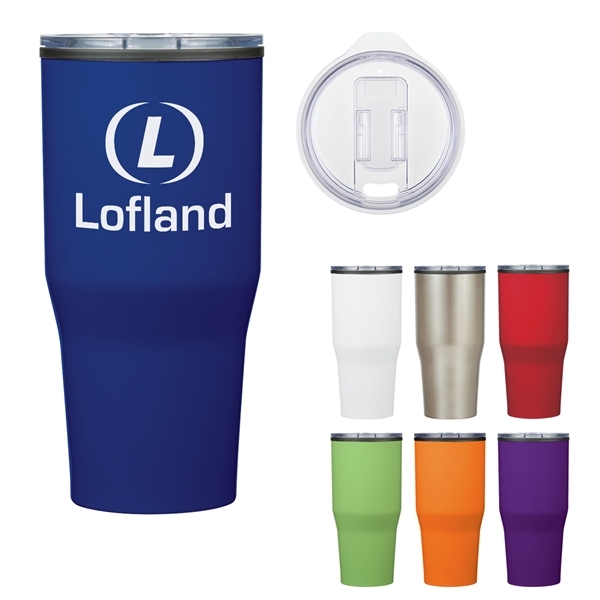 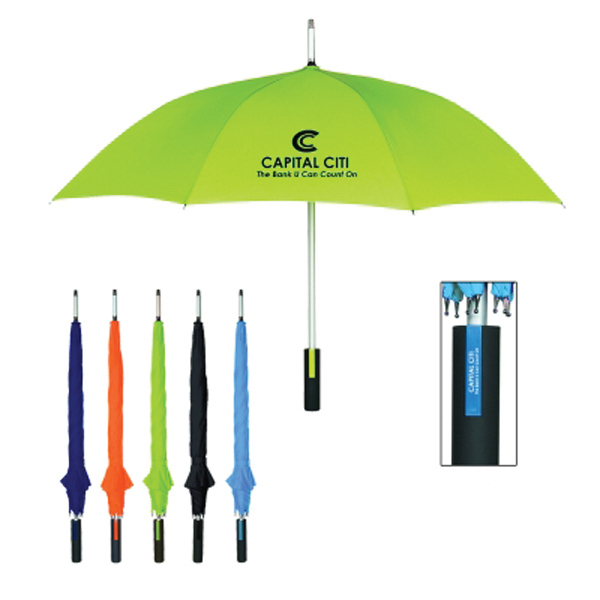 Create a useful promotional product that truly reflects your brand! 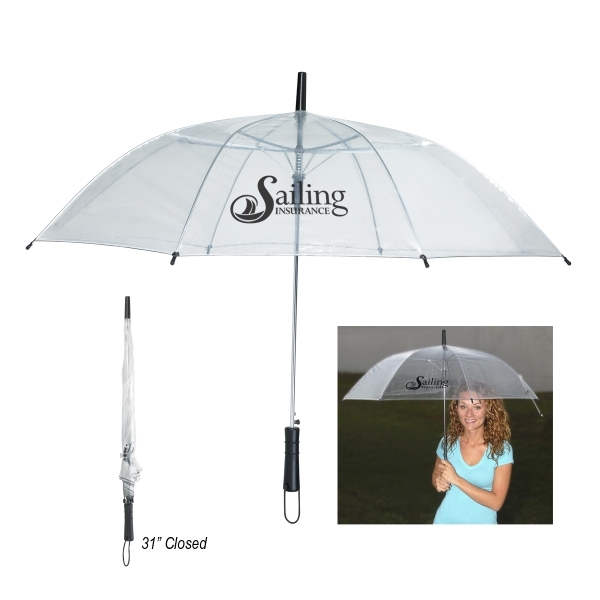 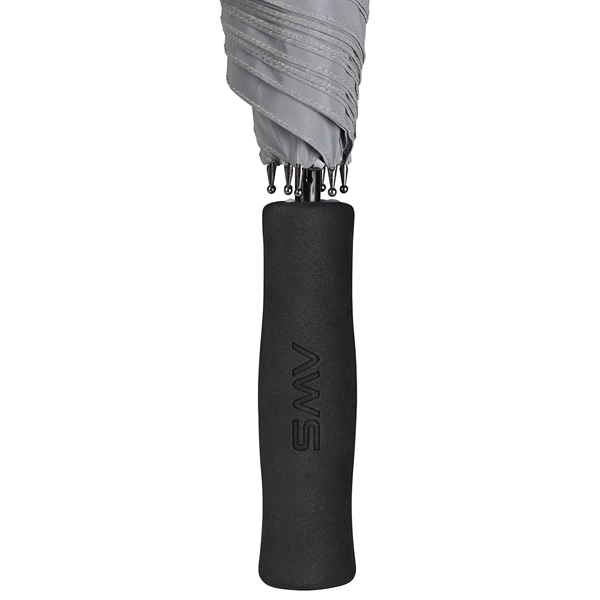 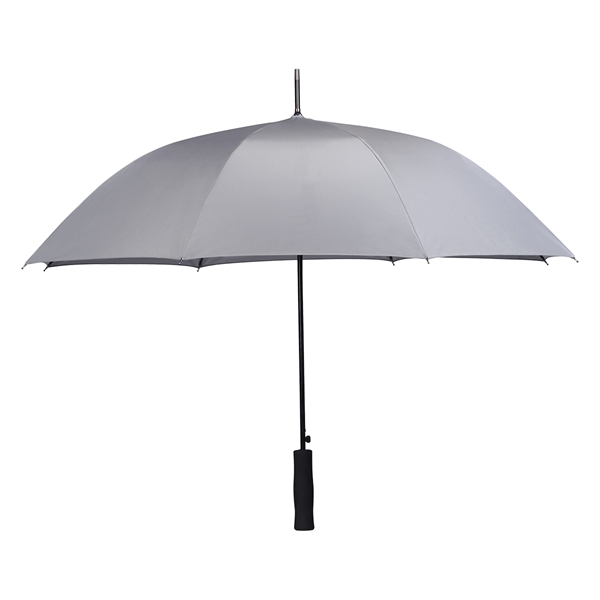 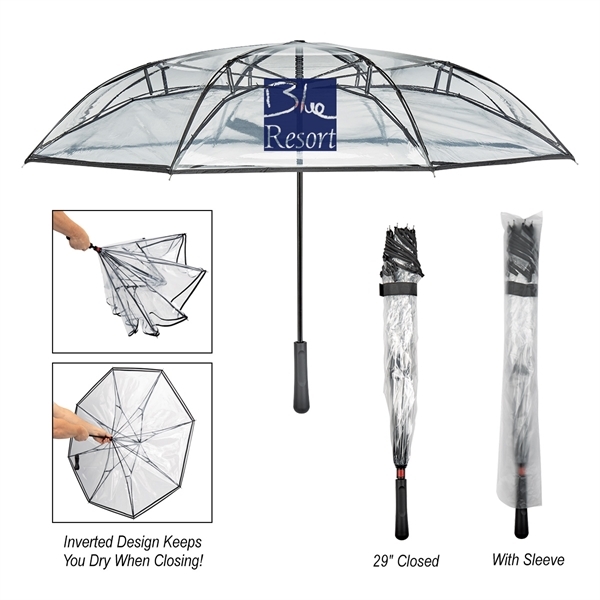 This umbrella with a 46" arc is made with a silver-colored, reflective pongee material canopy and measures 32" when closed. 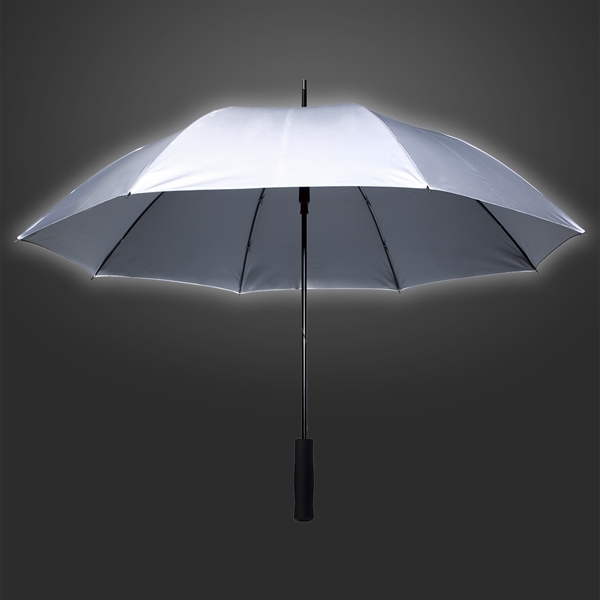 Other features include an automatic opening, fiberglass frame and ribs, comfort grip handle and a silver underside. 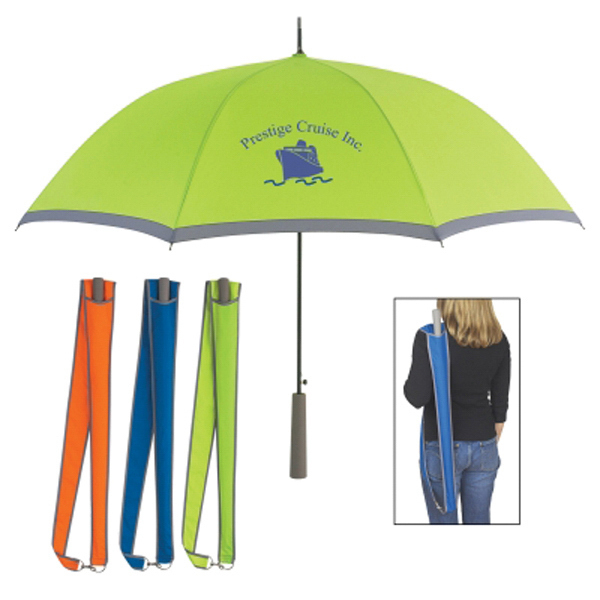 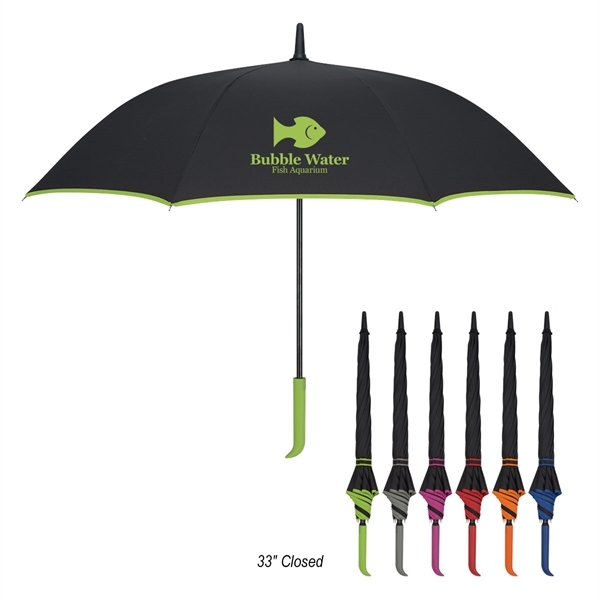 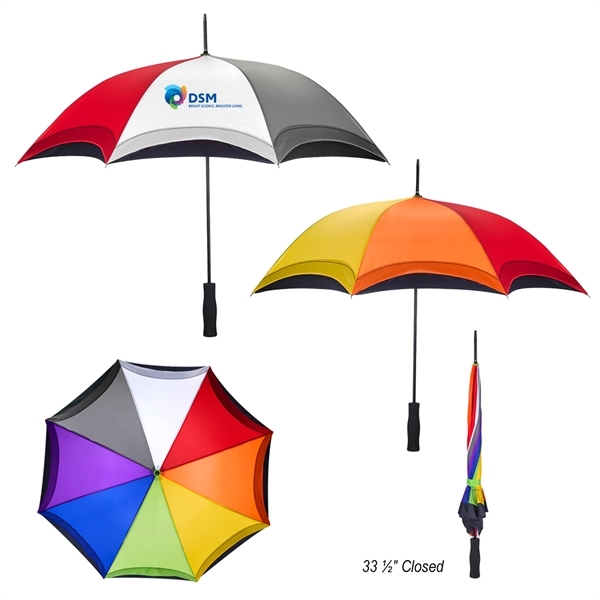 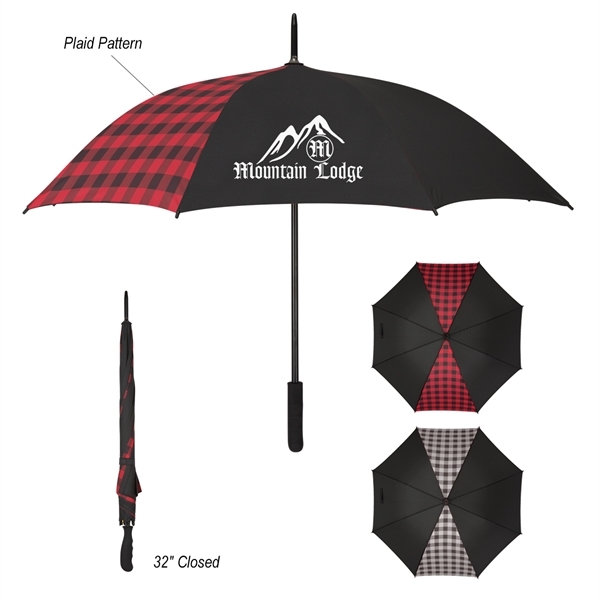 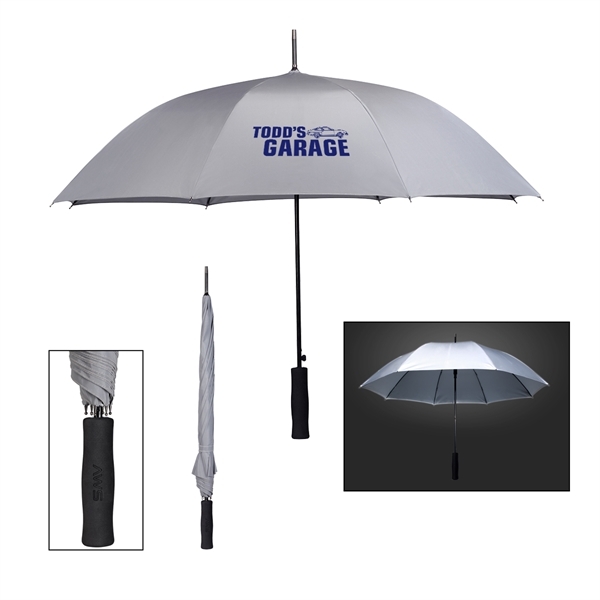 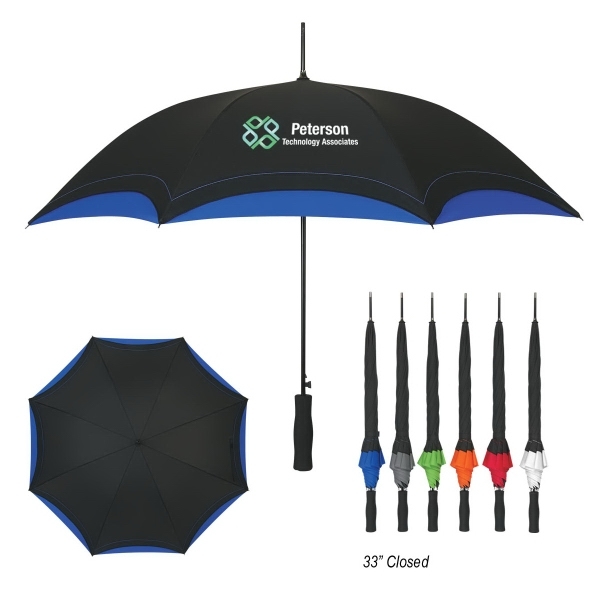 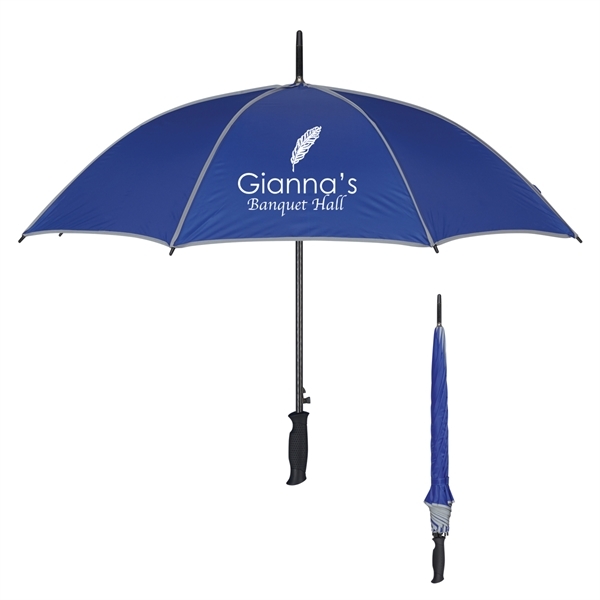 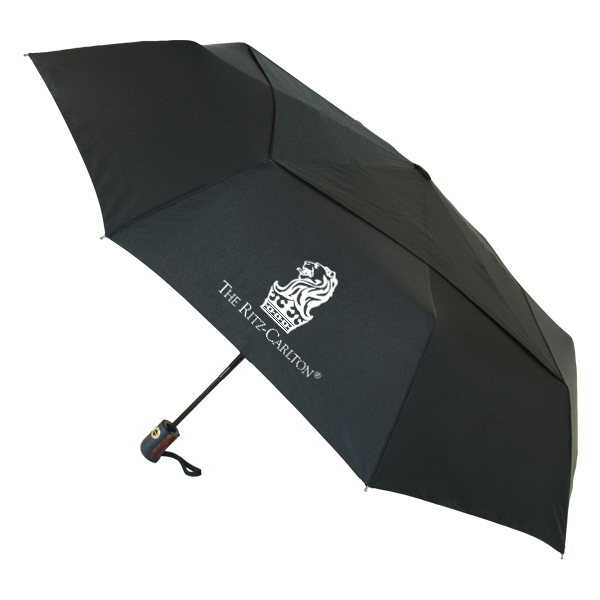 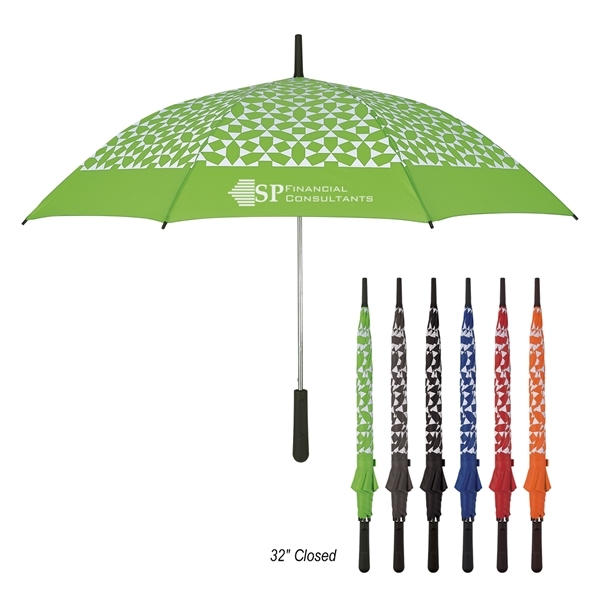 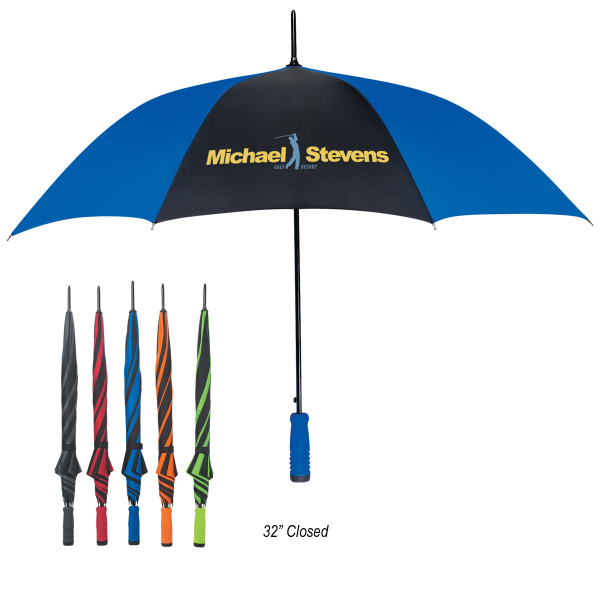 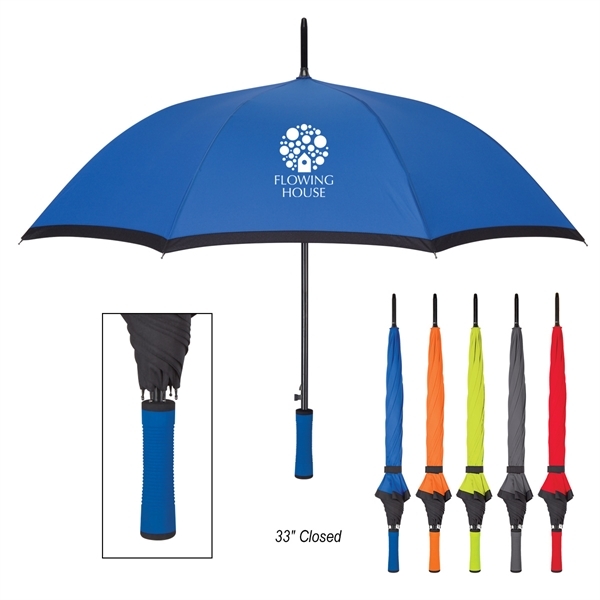 Each umbrella has an imprint space of 7"W x 5"H to showcase a brand name, logo or marketing artwork using one color in one-location. 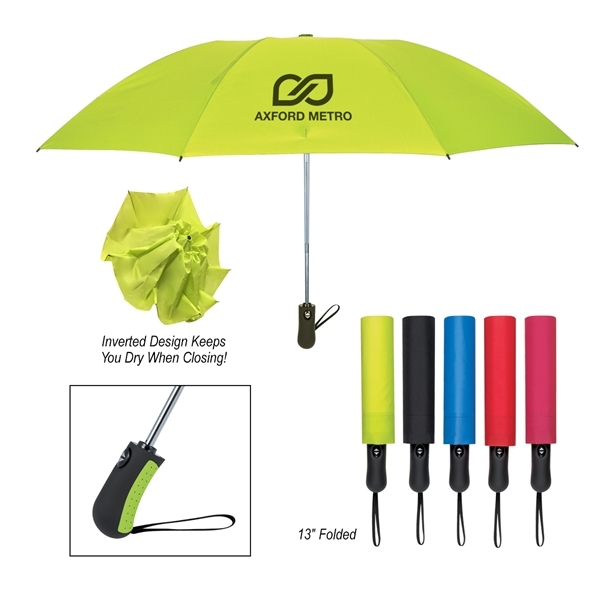 Don&apos;t wait until a rainy day to market your brand - invest in yours today!